I recently received a reader question that made me stop in my tracks. She had been taught that you either have good taste or you don’t. And that you have the eye for design or you don’t. I was almost brought to tears thinking that she had been brainwashed into thinking that perhaps she’d never be able to create the spaces she wanted because she wasn’t born with the correct skills. Never before in my life had I wished that I had a photograph of the bright yellow, Hawaiian themed bedroom we created in our first home. There was literally a plastic tiki from the party store on the wall. Approximately ZERO people who saw that space would have thought “wow, she really has a natural gift for this” or “what great taste she has!”. They would have laughed me right out of my own house if I told them one day I would make a living having a website talking about decor and organization. We are all born with a unique blend of skills and talents, and some people absolutely have a more natural dose of design-sense than others. YOU can still create a beautiful home that you LOVE to live in regardless of where you fall on the “have the eye” spectrum. You see, we worry too much about whether things are “right” and not nearly enough about how our homes make us feel. We worry about whether something is “good” instead of worrying if we have a connection to it. We worry about whether something is IN style versus OUR style. We worry about making mistakes like decor has the consequences of brain surgery. You may have noticed that as we update our house, I say things like “the mirror was no longer our style” or “the fabric didn’t match the feel of our house”. Because you know what? The same mirror that I get disgusted seeing every morning could be the perfect addition to your home and make you smile every morning. At the point we built that house, I very much enjoyed that very same mirror. What about in 2001 when we created the (in my 2018 opinion) tacky school-bus yellow bedroom? At 21, I LOVED having that fun space that we took the time to decorate. I still love that we weren’t afraid to make bold decisions, try out a crazy color, and create something unique with a TINY budget. I lost that boldness for a decade and I’m so glad we’ve found it again. When it came time to sell the house a few years later, it only took a day to repaint it to a neutral color that wouldn’t send buyers running. right for my house vs wrong for my house. Sure, there are people that more naturally have what is considered “good taste”. But, I bet we’ve all seen rooms that magazines have deemed to be amazing despite the fact that we would NEVER want to live in them. In fact, there are entire magazines dedicated to styles of decor that I don’t enjoy. Does that make them in bad taste? Not at all, they just aren’t MY taste. That said, there are design guidelines and colors that are naturally more pleasing to a larger subset of people. I’m a great example that those things CAN be learned and are very helpful no matter your style. We have lots of posts coming up with tips and tricks to help you. But at the end of the day, I’m not here to create a tribe of technically proficient designers. Although they have their place and are certainly very valuable to hire. I’m here to create a movement of people that get to experience the joy that comes when you create functional spaces that make YOU happy. If you haven’t downloaded the Feel & Function worksheet yet, make sure you pop over to this post to learn about my first step to decorating. Filling out the form to get the worksheet will also add you to the weekly newsletter list. You’ll receive all the upcoming tips to really implement these things I’m talking about in a way that works for you! Did you ever think you’d read a design post without pictures? I sure never thought I’d write one! But I didn’t want to distract you with photos of MY style when you could be spending that time absorbing the words and thinking about YOUR style. If anything from the post resonated with you, I’d love you to share it in the comments below! Melissa, no photos! Wow! And, believe it or not, we have a bright yellow beach room right now, with a huge blue and sand beach mural and tie dye linens. This is what my teen wanted some years ago. We managed to convince him not to paint the ceiling orange, lol. I’m actually not unhappy with it. I go up there when I want to really warm up or cheer up. I do hear what you are saying — stop worrying about “right” or “in style” and start focusing on “feel” and “our style.” I can identify what makes me feel good about a space — when I see it elsewhere or in photos. But I can’t always/usually create it. Not for myself, at least. I seem to have less problems with suggestions for friends’ houses, even though their styles are very different from mine. I guess I have less invested in the outcome, though I want them to be happy. I think you hit the nail on the head with worrying about mistakes. I used to work in an interior design firm -as the office manager, not as a designer. I was completely intimidated by these people who had such taste, such class. And then I found out that it was all baloney. My desk was close to where they did their consults and I *hated* 70% of what they created. And I got to listen to people talk about what mattered to them and paying way too much for someone else to create their space. Not to mention the 300-500% mark up on goods! But I learned that what most people ask for is BORING. I learned that some people DO share my taste. And I learned that designers each have their own senses of what looks and feels good, and that six different people who “have the eye” and the education can’t agree. That experience gave me SO much confidence to do what I like (within rental confines) and to take risks and be creative, because MY taste is just as valid as anyone else’s. YESSSSSS!!!!! What a great gift being able to discover that through a position that could have left you intimidated in the long run. Thank you so much for sharing that experience and helping validate that I’m on the right track with this, Amy! I think having the understanding that your opinion is just as relevant as someone else’s can help you create a better home on your own OR working with a designer. I think the right designer can be a huge asset, but living in their vision is very different from working with them to create a unique space to your own family. If someone doesn’t have the confidence to articulate what that means to them, I feel like they’ll never quite feel at home. Yes, Amy, thanks so much for sharing that experience. Must have been very freeing! And frustrating. 🙂 A madhouse sometimes! I think a good designer is there to help the client – to enable them – to get the feel and function they want and have decided they need, as Melissa calls it. 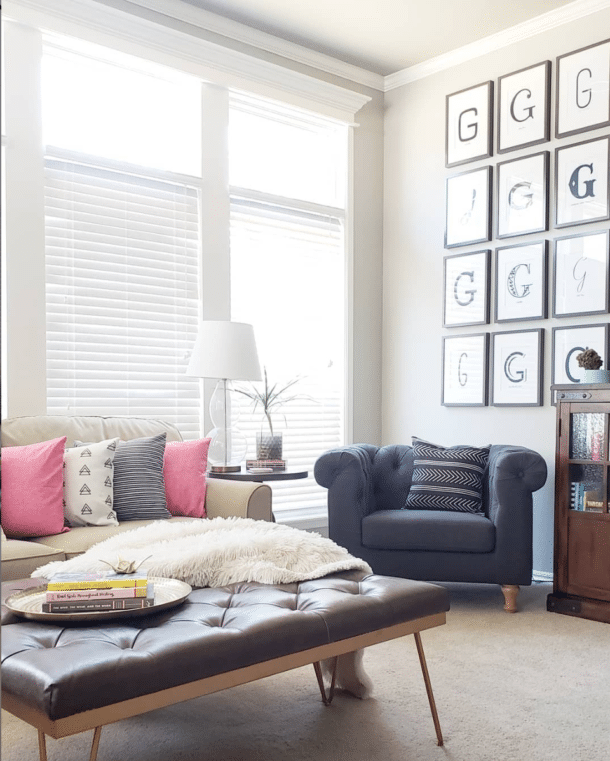 I know TV design shows are different than reality, but I’m always frustrated when the rooms don’t seem to match the sensibilities of the homeowners. Hmm, is sensibilities a different word for taste? Or some overlap there? I’m not sure, maybe you know, Melissa. But my friend loves them because her slinky nylon fabric clothing doesn’t slip off. (I rarely wear slinky, lol.) When I helped her sort her clothing, that’s what we used, and I’m glad she’s so happy with them. My spouse has asked for only wire hangers for some unknown reason… nowadays with a/c they don’t really rust even in the South, and you can get them coated – removes that objection. So I give him wire hangers in his closet. 🙂 I am gradually replacing mine with heavy duty plastic with swivel metal. My son doesn’t care, lol. Sensibilities! Lots of diagonal lines give me the heebie jeebies. Our first house had family room paneling with a strong pattern that I had to live with (and eventually covered over). Wasn’t a fan of triangular geometry in design anyway – has to be used very carefully or I personally will shudder. Some love it though; I have seen some good uses in design, and they’re welcome to it. Not just color and pattern. Surfaces and material choices… those would really play with senses and therefore sensibilities. I don’t know where I’m going with this — probably all over. lol But in a discussion of personal taste, it’s also probably a good idea to recognize our own sensibilities and just accept them. Some are learned; some must be inborn. There are surely work-arounds and alternatives that will solve any design problem without offending our personal sensibilities. The hangers are such a perfect example her. I love the felt hangers for my clothes, and that I can fit more in the same space with them. My husband HATES them because it takes longer for him to hang up his T-Shirts from the dryer. I think this turned into more of a designer/decorator conversation. Not a good/bad design conversation which I don’t think is what you were going for. Nor do I think that is what really needs to be talked about in relation to your topic. I see where you are coming from Katherine, and I’m definitely not anti-designer/decorator in any way. There are SO many instances in which hiring a designer is the BEST choice. Perhaps that can be a whole future post! I just wanted people feel more confident making decisions for their own spaces, especially if they’ve been taught they don’t have “good” taste. I understand why you were concerned with the way the comments were going because the original post was intended to be encouraging and uplifting. I don’t want anyone to walk away frustrated instead. I hope you feel better reading RW’s follow up that she didn’t intend to put all designers in one box. Thanks for sharing your concern in a civil way! Ah ha. Good way to put it. Yes, I do accept it’s a designer’s necessity to “push for something outside the client’s comfort zone.” Many times, that’s what they’re hired for. I’ve seen some really good results of exactly that on TV as well. I guess when I’m trying to solve my own problems, I need to do that, too. Fear – uncertainty – stands in the way. My head is getting woozy, though! We’ve exceeded — really pushed against the limits of — my design vocabulary, lol. I need to get back to the forms for “Feel and Function” and try to start them for some other rooms. I haven’t really done anything with my decor because I want to “get it right the first time” and I feel like I’m afraid to take chances. Sometimes the design choices are just so overwhelming. We are re-doing our shower (ripping out fiberglass shower and replacing with tile) and deciding on the right tile was overwhelming. It took me about a week to make the final decision and I ended up going with my original choices. This is when I realized I am seriously overthinking the decor in my home. Here’s to not overthinking it all and just doing it!! YES! I’ll cheers to that any day of the week! I really don’t blame you on the tile though, I think that’s actually the hardest thing to decide on because it’s such a mess and expensive to replace. But like you said, it can still be overthought. Most of the time, our gut initial reaction is the winner! 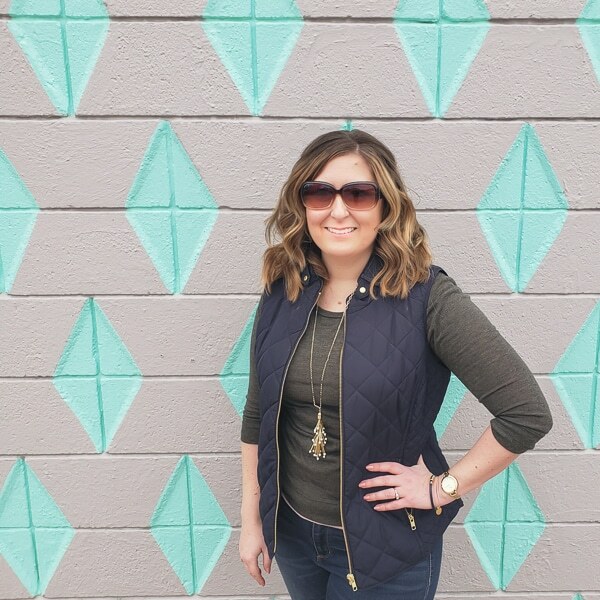 Melissa, I have been sitting with this post in my mind, at least a couple of weeks… and think I’ve been readjusting my whole viewpoint about decor of my home. If we are happy (my spouse and I), then that’s the goal we should aim for. Personality and taste — the way each of us wants our room to feel to us and to our guests — is so different. I’ve been observing friends’ styles in their homes for a long time, and what makes them happy, what gives them the feel they want, is so different from my own style. Amy’s comment above about all the different designers in a firm she worked for not agreeing helped me, too. I think I can be a bit freer with my own choices. Having said all that, there’s a skill involved in creating that feeling and that look. Melissa, I’ll trust you that it can be learned! Right now, I’m dithering over reupholstering one or the other sofas and chairs for a library/living room. About driving me crazy! Because of the cost and time involved, like Joy said, I do feel I have to get it right the first time. Gridlock! I think part of the problem is, even without bothering about other people’s impressions or styles, I’m having trouble deciding which of the available fabrics will give me the feel I want, as well as being durable, of course, and within budget. ( My first choice materials and labor would be out of budget. ) So I’m trying to focus on that feel. In contrast, selecting floor tile is a lot easier for me now than when I was building my first house. Having decided on tile several times, over many years, I’m experienced. I found out recently, doing two bathrooms, that while I love some of the tiles on the market, I’m just as happy with the plainer selection we installed in the far-flung bathroom. Though I spent less money and time on it, compared to the special tile I have ordered for a more prominent bathroom, I’m just as happy. I think it’s because that whole bathroom with the less expensive tile still gives me the quality feel I wanted. Finding a more perfect tile, I realized AFTER we finished, would not have improved this bathroom much at all. Certainly doesn’t change the function. That’s a lesson I am trying to translate over to my current fabric selection. Function and Feel. 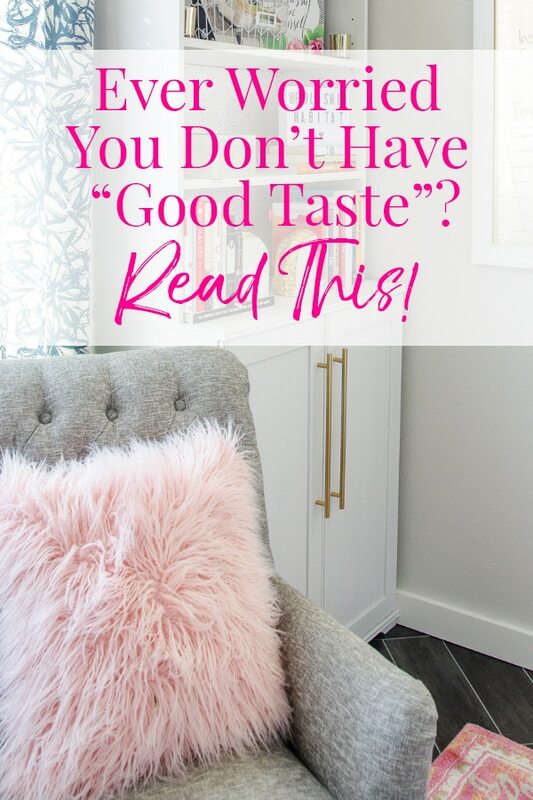 “Good taste” is subjective no doubt about it. I think what is true and consistent about interior design are principles of design that flow from one style to another: proportion, symmetry, scale, use of space, line, etc. I think these principles are what makes a space feel “right” to our eyes and souls. Totally agree that the principles of design play an important part and that they help create beautiful spaces! This is my declaration that I will boldly and proudly decorate!